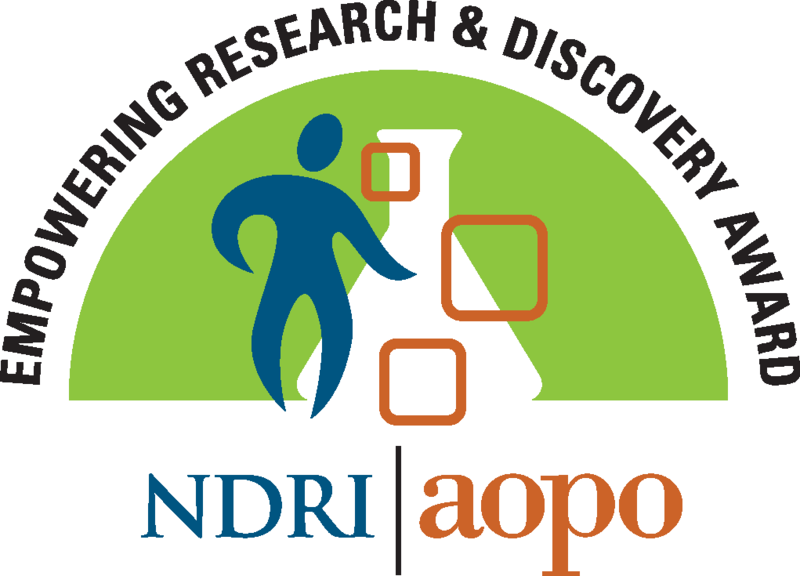 NDRI is proud to announce the first ever "NDRI & AOPO Empowering Research and Discovery Award". This award will be given annually to recognize the organ procurement organizations committed to advancing research. The newly named NDRI and AOPO Research and Discovery award will be presented to an organ procurement organization for their work with NDRI and commitment to research broadly on June 20, 2019 at the AOPO Annual Meeting in Houston, TX. We are accepting nominations for this award from now until April 26, 2019. To nomination yourself, please fill out the form below. If you have any questions, please contact Saboor Shad, Director, Tissue Source Site Management, at NDRI at sshad@ndriresource.org .